When visiting there are a number of options for parking at Manchester Airport all catering for different budgets and requirements. Manchester Airport arrivals brings you the information needed to help you choose the right parking at the price. There is a mixture of long and short stay car parks most of which are based on the airport site and are only a short journey from the 3 terminals. Some parking at Manchester Airport can be booked in advance and others booked on the day. If you are looking for a meat and greet car park, an offsite park with a shuttle bus or a short stay car park close to the arrival gate then keep on reading, we explain them all. Jetparks Manchester Airport – An offsite car park situated just 5-10 minutes from the terminals that can be booked in advance. 24 hour assistance and ideal for stays for up to 2 weeks. Jetparks Plus Manchester Airport – A pre bookable car park situated 5-10 minutes from the terminals, offerign 24 hour assistance and a shuttle bus every 15 minutes. Long Stay Car Park Manchester Airport – Turn up or pre book with a shuttle bus, prebook to enjoy the best rates and also offers 24 hour assistance. Multi Story Car Park – Close to the terminals and ideal for those with heavy luggage, pre booking gives you the best rates and ideal for stays from 1 to 7 days. 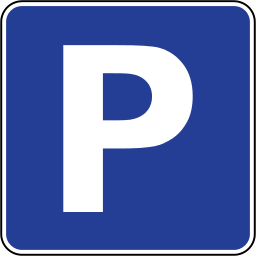 Meet and Greet Parking – Suitable for any length of stay, enjoy the luxury of having your car parked for you, drop the car off and let them do the rest. Valet Parking Manchester Airport – Enjoy fast track travel through security while they park your car for you, available at all terminals and ideal for all length of stay. For those travelling to the airport site to drop off or pick up passengers there is parking available at all three terminals. Parking at Manchester Airport for short term users is available and shown below. If you choose to turn up and park at Manchester Airport on the day then there is a range of options available but please be prepared to pay as the best deals are only available to those who prebook.